Boundary Bay Brewery is a place the locals like to go…it’s the neighborhood pub where everyone feels at home. We’ve even been described as “Pure Bellingham!” And now that we’ve got Bluegrass happening again every Monday, this place will feel even MORE homey! 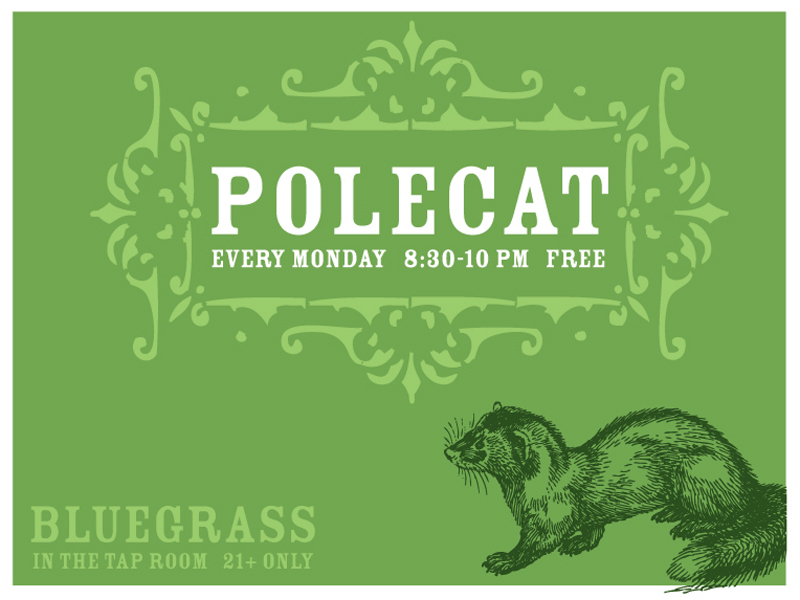 Come check out the Bluegrass band Polecat every Monday night from 8:30-10 pm in our Tap Room for free! Polecat plays vocal based new-grass songs written by Aaron Guest as well as a lot of fun covers, from old blues/bluegrass/country to modern classics & a few instrumental reel-style songs featuring Jeremy and Cayley. This project, while composed of mostly traditional instruments, is not a traditional string band. It’s a combination of all the member’s influences – reels, rock, blues, country, etc. They all write their own parts and make it happen collectively! Lead man Aaron says he is honored to play with some of the best players in town.